Over the past week or so, rumors have begun to crop up thanks to Wall Street Journal Japan. The insinuation, as with previous rumors, was that Nintendo will be releasing a revised Switch model in mid to late 2019. The rumor from WSJJ was that this new Switch model would merely be a minor hardware revision with a better screen that’s more power efficient, brighter, displays more colors, the whole shebang. A very simple, very small rumor, nothing to get too excited over. However, that’s not the only reported rumor/leak. In the past I’ve cited videos from ReviewTechUSA before. Rich may not be the biggest Youtuber around, but he makes it his mission to report on the latest news and rumors and they’re generally pretty entertaining videos. 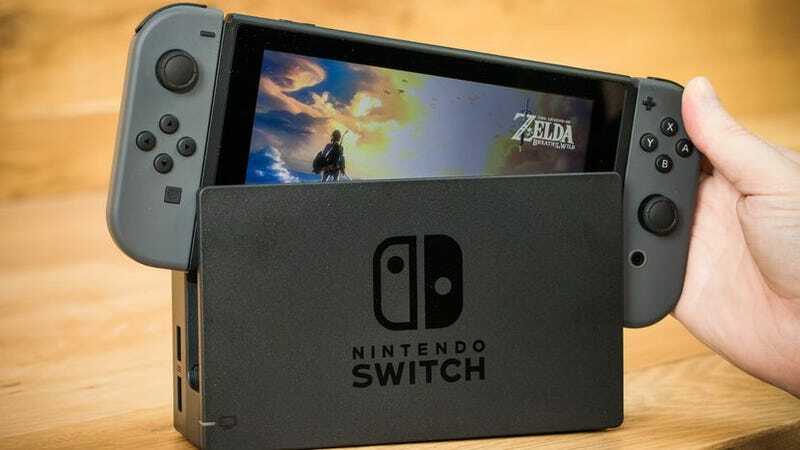 Earlier this summer when Marcus Sellars put a Switch rumor out there, one about a more powerful Switch model, he claimed he did have some very minor information himself regarding this and another Youtuber said the same, but details were somewhat scarce. Now, Rich has brought out a new video, claiming that his inside source who has some knowledge of this new Switch, told him quite a bit. He kept his source anonymous, but claims the source is trustworthy. - Super Nintendo Switch will launch mid-late 2019 at a price point of $499. - The Super Nintendo Switch has been in development for close to 3-4 years and was being developed alongside the original Nintendo Switch(There were rumors back then of a more powerful SKU.). The reason it was not the launch device or a second SKU was because the tech was not where it needed to be, and the base Switch likely made more sense as a cheaper market test device(Partially speculation). - In terms of power it will be on par with the base PlayStation 4, and the comparison was that if a PS5 game runs at 4K60, the same game will run at 1080p30 on SNS. - The Super Nintendo Switch will potentially have up to 512GB of built-in storage. - There will be AT LEAST exclusive third party releases that will not come to the base Nintendo Switch. - The system-on-chip is custom, but whether it was made by NVIDIA, by Nintendo, or a collaboration is unknown. - The Wall Street Journal Japan leak was planned by Nintendo to get the word out ahead of the planned January 2019 reveal, to get out ahead of the reveal of a competing console Nintendo seemingly has knowledge of, and to please investors. - Nintendo is going to great lengths to secure third party support before the PS5 and NextBox are unveiled. In short, the more powerful Switch that was rumored way back in October 2016, more than likely does exist and is close to release, and it’s actually on par with the base PS4, meaning it completely blows past the base Xbox One. People like to think Nintendo doesn’t care about power, and to be fair, they really haven’t played the power game since the GameCube which surpassed the PlayStation 2, but fell behind the Xbox. When this Super Nintendo Switch releases next year, provided the next-gen systems aren’t also releasing next year(Highly unlikely), Nintendo will have caught up to the base models with a portable device the size of a tablet. And in another 4 years or so, they’ll likely have a model that reaches where next-gen is. Take the rumors with a grain of salt of course. If they’re true, we’ll know by January.